I've got a small bug when playing God of War. During all cutscenes (and also when watching the Making-of featured on the disc), there this strange half line at the bottom of the screen. 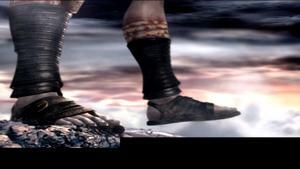 During gameplay, GOW runs in full-screen-mode without problems, no black areas at all. all hacks turned off. It also doesn't matter what GSDX-plugin I use. I'm always using Direct3D9-Hardware-mode as it's faster than 10 for me and alwaays choose native resolution.